Styled with lyra skirt and continental 80 shoes . 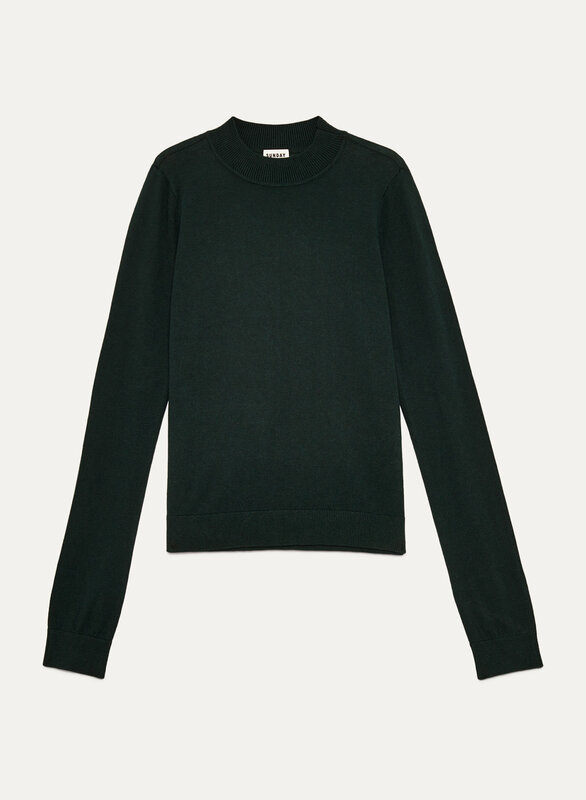 This mockneck sweater is made with a luxe blend of silk, cotton and cashmere, so it's ultra-soft, lightweight and warm. The fitted design feels feminine and is perfect for layering. It is close not fit and hugs my curves perfectly. I love it so much I’m going to see if there are more colours! Sweater fits true to size, I am a small and ordered a small. The Fabric is soft and movable. This sweater can be dressed up or down, it’s a great staple for my closet! I LOVE this sweater. It's a bit more snug than I'd expected it to be, but that's alright. It's a beautiful color and material, can be dressed up or down, and fits perfectly under my more tailored coats.